Two more illegal fly tippers have been prosecuted for waste related offences in South Gloucestershire. 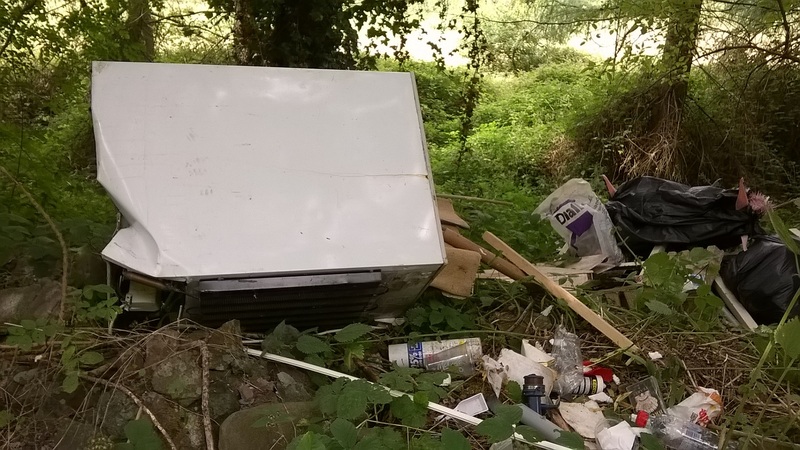 A Kingswood man has been ordered to pay £1,922 in fines and costs after admitting fly tipping waste in Manor Road, Mangotsfield, South Gloucestershire. Richard Holly, 33, of Church Road in Kingswood appeared before Yate Magistrates’ Court on Friday 13 November. He pleaded guilty to not having a Waste Transfer Note or a Registered Waste Carriers Licence to transport the waste and was fined £480, with a victim surcharge of £48 and costs of £1,394. John Hope Smith, 21, of Oaktree Close in Downend also appeared at the same court on Friday 13 November. 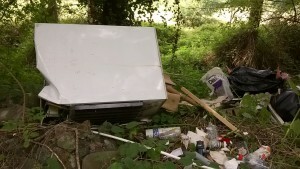 Smith was ordered to pay a total of £1,812 in fines and costs after pleading guilty to fly tipping a wheelie bin, plastics including industrial cleaning equipment, and other household waste at Fieldgrove Lane in Bitton. South Gloucestershire Council’s Communities Committee Chair Cllr Heather Goddard said: “These latest successful prosecutions bring the total number of prosecutions for fly tipping and related environmental offences this year up to 13. This continues our zero tolerance policy regarding fly tipping and serves as another reminder that if you are involved in the illegal dumping of waste in South Gloucestershire, you will be prosecuted. Residents are advised to only give their rubbish to an Environment Agency registered waste carrier or they could be held liable if waste is subsequently fly tipped.